The Montgomerys are among the last of a dying breed -- New England WASPs who effortlessly combine repression, flamboyant eccentricity, and alcoholism. Fragmented by drink and dysfunction, the family has not assembled in more than a decade. But when Big Dad, the patriarch, is diagnosed with stomach cancer, the siblings return to their childhood home, Four Corner Farm, to help their parents navigate the specialists, treatment options, pain management, and, most difficult of all, their own anguish. Big Dad has always moved carefully through life, taking responsibility for the farm, the cars, the house, and his wife. The irrepressible Mumzy, now in her late seventies, drinks her first gin each day at 8:45 a.m. and spends her time singing jazz standards and reliving the glory days when she rescued horses from the now defunct hunt club. Prickly and proud, the two have always tried to keep their chins up, but Big Dad's cancer rattles their formidable denial. Montgomery's stunning memoir vividly evokes the often unspoken bonds between family members -- bonds made of memory, love, and disappointment. Heartbreaking, lyrical, and frequently hilarious, The Things Between Us hums with a sense of wonder as the author discovers anew the most familiar people in her life, herself among them. Considering that this book focuses primarily on her relationship with her father, why does the author begin with: "First things first. You have to meet my mother." What does this first scene tell you about "Mumzy" and the Montgomery parents' relationship? How does their behavior throughout the book reinforce your early impressions of them? Does either of them ever change? Does the way that Lee relates to them ever change? Lee spent most of her childhood trying to cope with her mother and adoring her father. Why do you think Lee identifies so strongly with Big Dad? In what ways are they alike? How are they different? Despite hints of a deep resentment and long-held anger, Lee still seems to love her mother very much. What is it about Barbara that Lee admires? Knowing some of the facts of her life, can you sympathize with Barbara at all? Compare and contrast the author's childhood in New England with her adulthood in Southern California and Oregon. In what ways do the two regions offer similar experiences? In what ways are they different? On page 7, Lee calls her father a "classic Yankee." Using examples from the book, explain what she means by this. Lee and her father "spend [their] lives together doing chores," (p. 14-15). Even after she moves away, they complete projects together over the phone. What is the symbolism inherent in this characterization? What does it tell you about their respective roles in the family? The author describes her mother's family, the Begoles, as a family that "loses things." What has Barbara Begole Montgomery lost? Do you think Lee is a part of that legacy? If so, what has she lost? What is she trying to find? On page 48, Lee describes her family as planets in the solar system. Why does she make each of her associations between family members and their respective orbiting masses? When you think of a "New England WASP," what comes to mind? How do the Montgomerys hold up to your stereotype? Sprinkled throughout this memoir are moments of violence or extreme emotional reaction, mostly the result of days, months, and sometimes years of repression. Identify each of these moments and discuss how they reveal the private struggles of the people involved. The author spends a lot of time describing Big Dad's hands as she moves with him through the final months of his life. Discuss the appearance and significance of hands and the ways the author uses them as a symbol. The three Montgomery children each sped away from their childhood and its memories as soon as they were able. Yet, as their father declines, they spend a lot of time recollecting their lives at Four Corner Farm. What changes do you see happening to them and among them, due to revisiting these memories? Lee, in particular, obsesses about her relationships with her parents and siblings, who have left her feeling disconnected and abandoned for different reasons over the years. Discuss her conflicting need to be both close and distant from her family at various points in her life. The Things Between Us explores the dying "blueblood" New England lifestyle, thus providing a fascinating window into an American subculture on the wane. What is the town of Framingham, Massachusetts, like? In what ways is the Montgomerys' world just like any American family's? In what ways is it different? Many authors write memoirs in order to better deal with their painful experiences. In detailing his life and death, how has Lee Montgomery paid homage to her father? What do you think about her portrayal of her mother, considering the facts of their history together? What clues do you see in The Things Between Us that reveal how the author has or hasn't been able to come to terms with her family's love- and resentment-filled past? Research the Boston, Massachusetts area and the small community of Framingham. You can start with information and photos at www.visitnewengland.com and www.visit-massachusetts.com/boston.html. Have a "Yankee" party and go horseback riding, apple-picking, drink cocktails, and share what you've learned of the region's history. You can even have everyone prepare and bring New England foods, such as those found at www.newenglandrecipes.com. Learn about the ongoing foxhunting tradition (though of course they don't use real foxes anymore) that's carried on by the Old North Bridge Hounds at www.onbh.org -- you may even be able to follow one of their hunts. As a group or individually, watch the movies War of the Roses (which the Montgomerys found hysterically funny) and When a Man Loves a Woman (a movie about the struggle a husband and child face in the wake of one woman's alcoholism). Discuss the effects of alcoholism on all the Montgomerys, parents and children alike. Lee Montgomery is the editorial director of Tin House Books and executive editor of Tin House, a literary magazine. 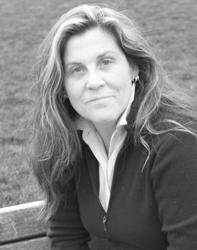 Her work has appeared in numerous publications, including Story Magazine, Black Clock, Denver Quarterly, and The Iowa Review. She lives in Portland, Oregon. "Of the demons afflicting the well-heeled Montgomery family, the most obvious is cancer, ravaging the body of the author's beloved father. Equally insidious is alcohol: even at age seventy-eight [Montgomery's mother] begins the day with a cocktail. But the evil the author seems most interested in exorcising in this wrenching, unsentimental memoir is denial, the organizing principal of the family's life.... Montgomery's portrait of modern death is harrowing, but it's uplifting, too." "A stunning addition to the literature of drunken mothers. Montgomery has a lovely, straightforward, trustworthy style. You like her utter lack of self-pity. You appreciate the absence of bitterness and judgment. There's no pretense of offering some grand lesson, other than love: Love as best as you can for as long as you can. That's all." "What Montgomery does, uncannily well, is to catch how normal an alcoholic family feels when you're in the midst of it. 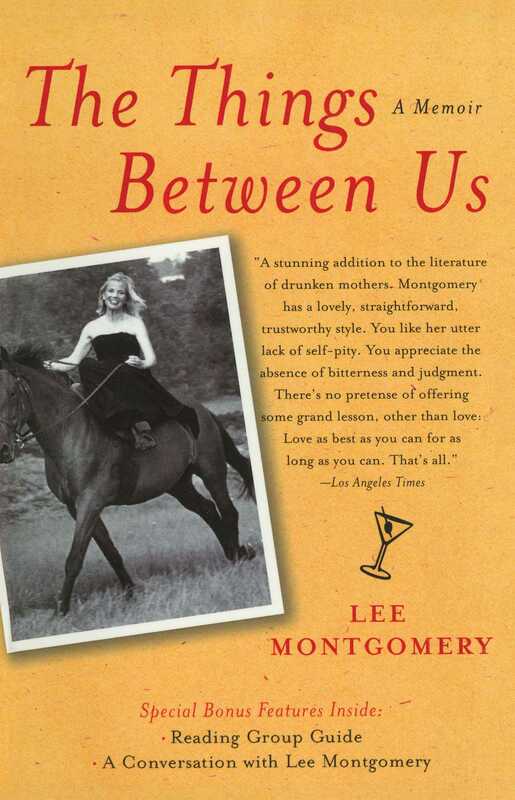 Montgomery has wrung an engrossing book from her eccentric (at best) childhood and the journey of reconnection she and her brother and sister take in the wake of their father's terminal diagnosis....Montgomery's greatest gift is to be able to describe her family clearly and unsentimentally but without cruelty. That's what allows us to laugh with the Montgomerys but certainly not to laugh at them. They're much too compelling for that." "Most families have a black sheep. Montgomery's had a black hole -- her mother, a frustrated performer and prodigious drunk. So imagine Montgomery's surprise when she is called home to mount a death watch -- not for her Mumzy, but for her tight-lipped father, always something of a cipher for his children. Her memoir of a belatedly dutiful daughter, harrowing and inevitably heartbreaking, also manages to be scathingly funny." "This is not just another memoir of alcoholism and family dysfunction -- this is the smartest, funniest, warmest, and most wicked of alcoholism and family dysfunction memoirs to come along in many years. Lee Montgomery paints flawed and aching people with a touching and lovely palette." "A monster mother, a beloved father, a trio of grown siblings who reunite to deal with a death in the family. The Things Between Us is unflinching and absolutely as fascinating as it is sad. It's also a scathing attack on the practice of medicine in America today and a perhaps inadvertent plea for us to rethink the role of hospice and our dying process."